How to watch The Terminator (1984) on Netflix France! Sorry, The Terminator is not available on French Netflix, but you can unlock it right now in France and start watching! With a few simple steps you can change your Netflix region to a country like USA and start watching American Netflix, which includes The Terminator. We'll keep checking Netflix France for The Terminator, and this page will be updated with any changes. 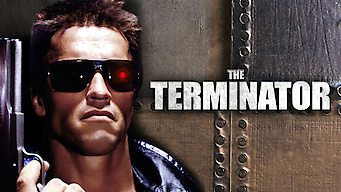 The Terminator is not available in France BUT it can be unlocked and viewed! In the post-apocalyptic future, tyrannical machines teleport a cyborg to 1984 to a kill a woman whose unborn son is destined to lead the human rebels. An unstoppable cyborg travels back in time to kill a waitress and her unborn son -- who is mankind's future savior. There is a way to watch The Terminator in France, even though it isn't currently available on Netflix locally. What you need is a system that lets you change your Netflix country. With a few simple steps you can be watching The Terminator and thousands of other titles!